To attend you are required to register (for free) in advance through the above email address. 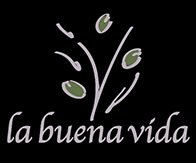 On March 26th, we organise a ‘Family Tree’ and ‘Life’ Story Telling Presentation & Workshop at La Buena Vida, The Hague, The Netherlands. + 3 questions to get you started on your own family history or life story. ‘The Archive Box’ (€ 22,-) can be purchased at the presentation for your own use and makes a nice present for a relative or friend interested in genealogy.